A list of some reported names. Estimated number of casualties 43. Many were never recovered. Capt John Humble, age 57? Born Lamington, Lanarkshire 23 September 1798. 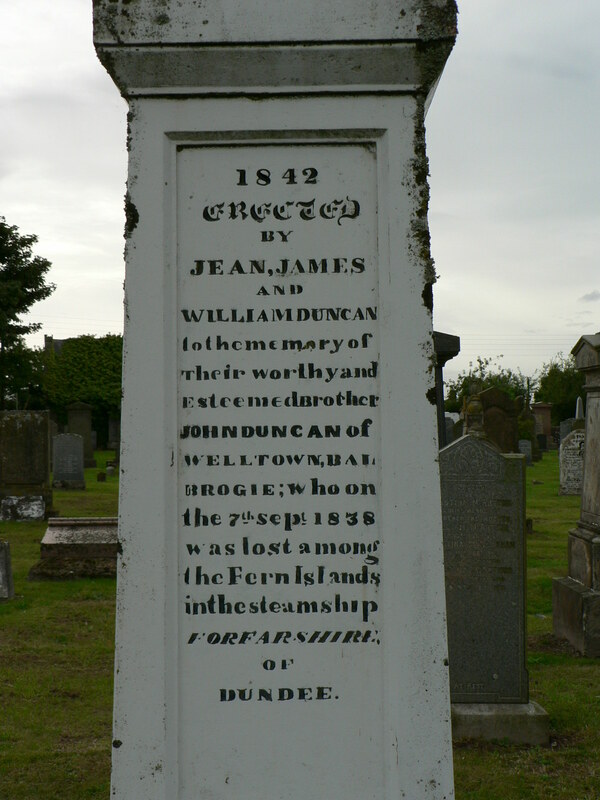 Ordained as minister at Dunkeld Cathedral 14 June 1834 where a plaque commemorates his death with these words: "To the memory of Rev John Robb, who on a voyage for the benefit of his health, perished by the wreck of the Forfarshire steamer off the Fern Islands." Died on the wreck. Buried in Bamburgh churchyard. Son of Mrs Sarah Dawson. Died from exposure on Harcar Rock. Buried in Bamburgh churchyard (unmarked grave). Daughter of Mrs Sarah Dawson. Died from exposure on Harcar Rock. Buried in Bamburgh churchyard (unmarked grave). Steerage passenger, age 40. Originally from Ireland. Lived in Dundee His body was found in the wreck, three days later. Buried in Bamburgh churchyard (unmarked grave). Crew member: Fireman. Washed up on shore three weeks and one day after the ship was wrecked. Body found near Monk’s House, between Seahouses and Bamburgh, prompting a second inquest. 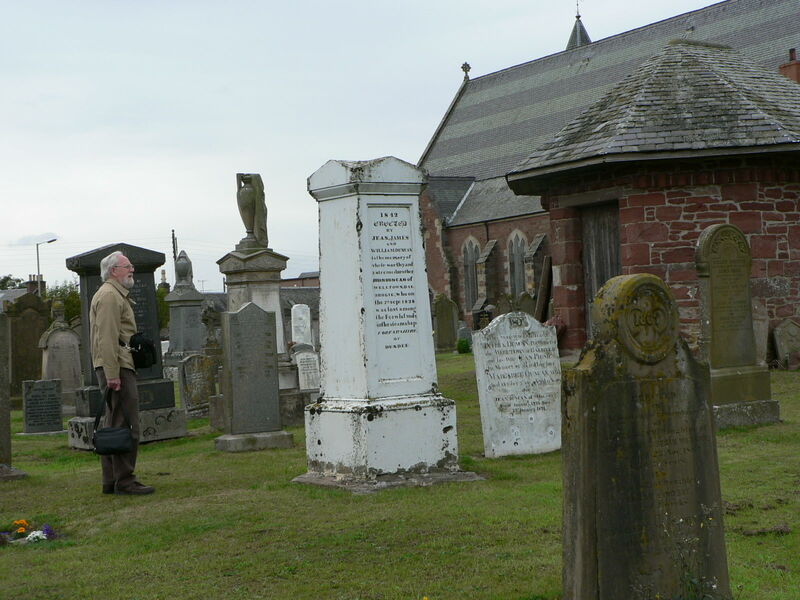 Buried in Bamburgh churchyard (unmarked grave). Cabin passenger. Wife of a master mariner. “Wife of Captain Patrick of the Clara”. Cabin passenger. Manufacturer of Glasgow. SAME AS ABOVE? OR RELATED? 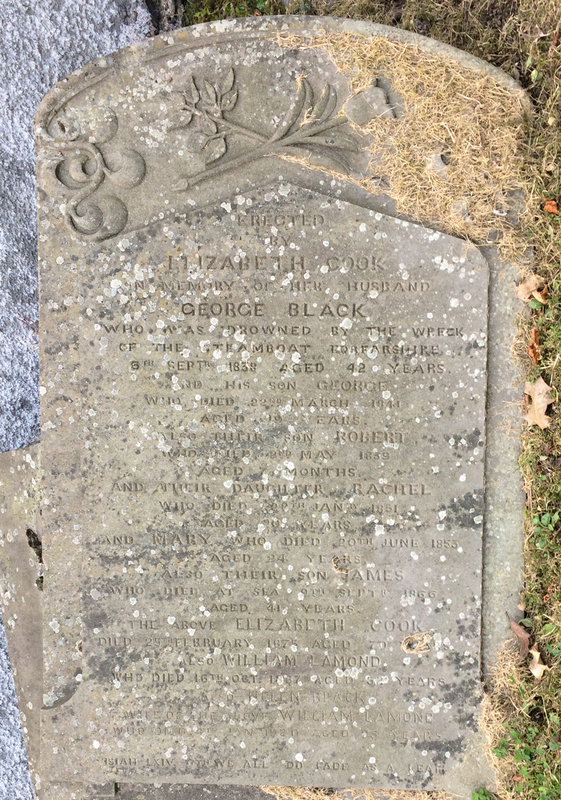 Passenger or crew (a descendant has contacted gracedarling.co.uk with photos of a family memorial erected in 1842 in the churchyard at Coupar Angus, Perthshire) Drowned. Photos: John Duncan Memorial - kindly supplied by Arthur Duncan (a descendant). 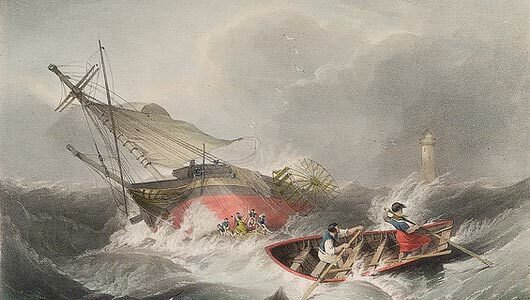 “Said to be from Russia” [from ‘Chronicles Of The Sea’ Oct 6, 1838] Both drowned. Headstone, discovered by Samuel Simms, a postgraduate student at the University of Dundee in 2016 . Previously unknown, we can now add George Black to the list of confirmed casualites. We have yet to confirm his status as passenger or crew . . Click thumbnail photo ( supplied by Samuel Simms with thanks ) to expand the detail.